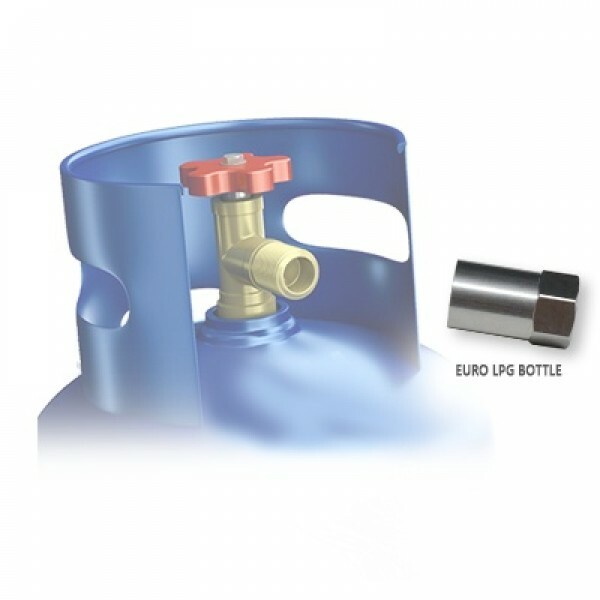 Fill up European Propane gas bottles remotely at autogas stations. Thread is W21.8 left hand, around 22m Anticlockwise found on French, Spanish, German, Italian and other European countries bottles. 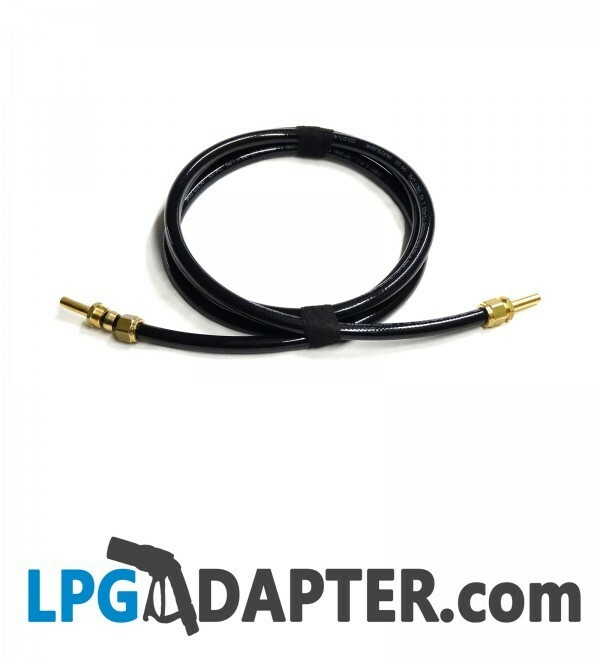 Propane gas bottle KIT for filling LPG cylinders remotely with 2 meters liquid lpg hose. 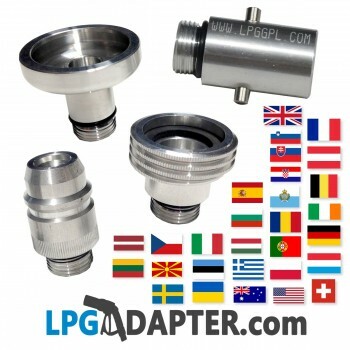 LPG Bottle adapter EURO type, found in most European countries. 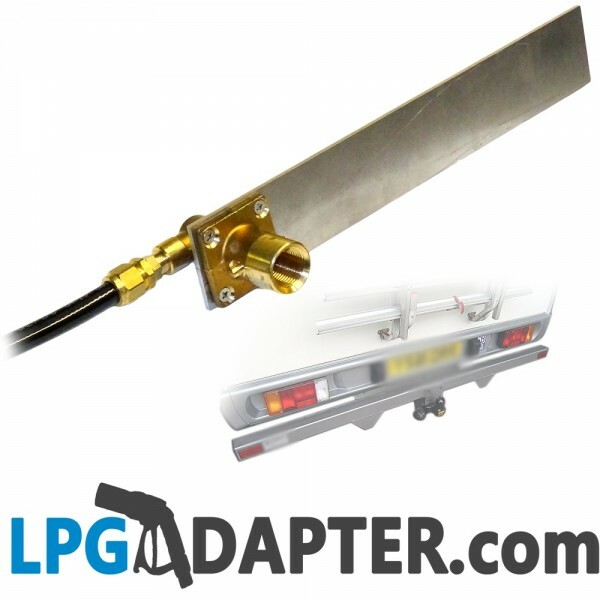 This comes down to specifying the filler, as the kit itself is generic and compatible with other LPG Adapter range ofAutogas filling products. 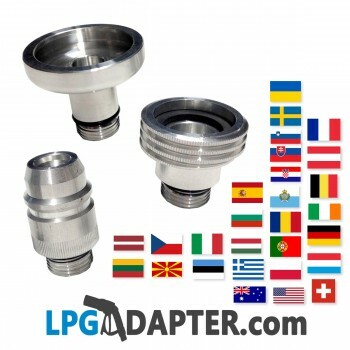 For USA and Australia the POL remote filling LPG adapter kit remains the same, stealthy filler must be specified and ACME adapter prchased. Which Autogas filler is suitable? 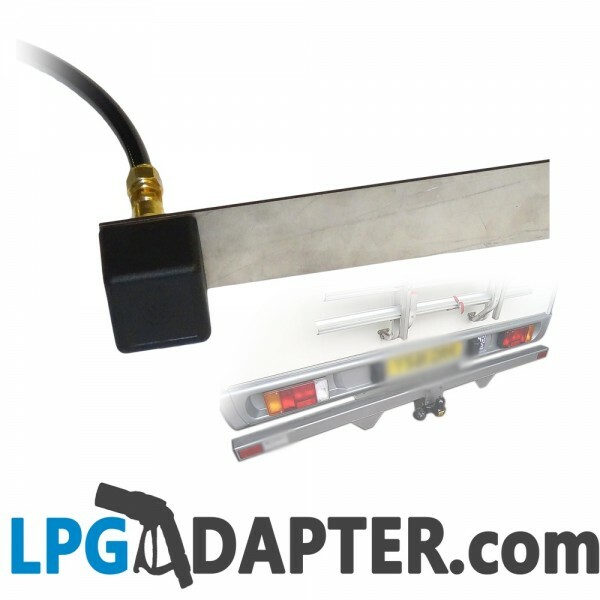 The autogas filler selection can be split in to two options, the tow bar mounted and the body mounted types. 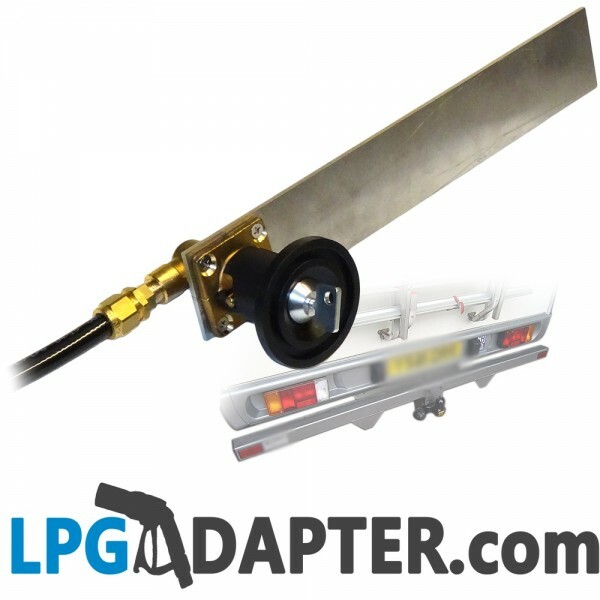 The tow bar mounted Autogas Filler. 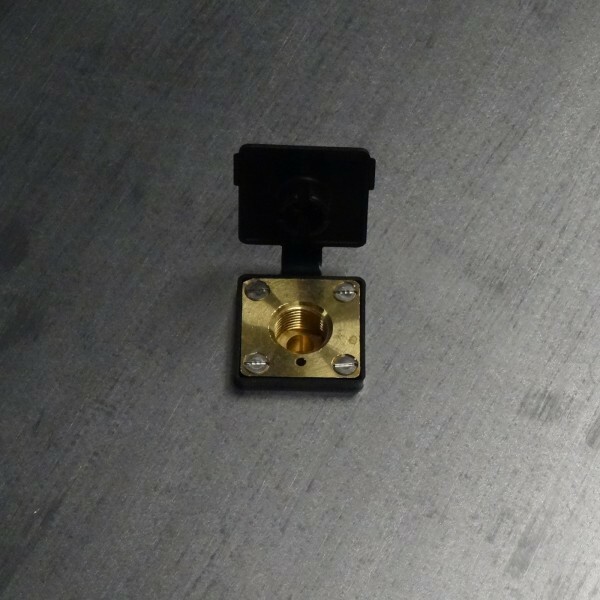 With both of these Autogas fillers a tow bar mounting bracket will be required, bracket is manufactured from stainless steel, please flick through pictures to see how it looks. 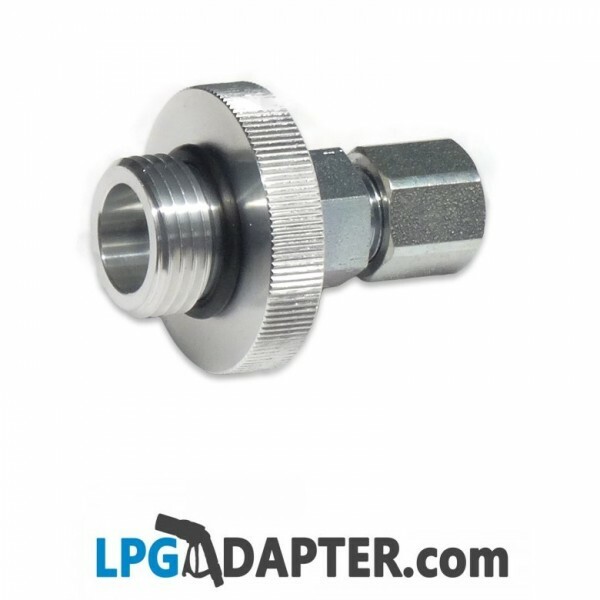 The Bayonet filler will require a dust cap to keep elements away, there are 3 to choose from, Square Cap, Standard Cap and our design Autogas Lockable Filler Cap. The body mounted Autogas Filler. When it comes to fitting LPG filler in the body, the skin thickness dictates correct filler selection. 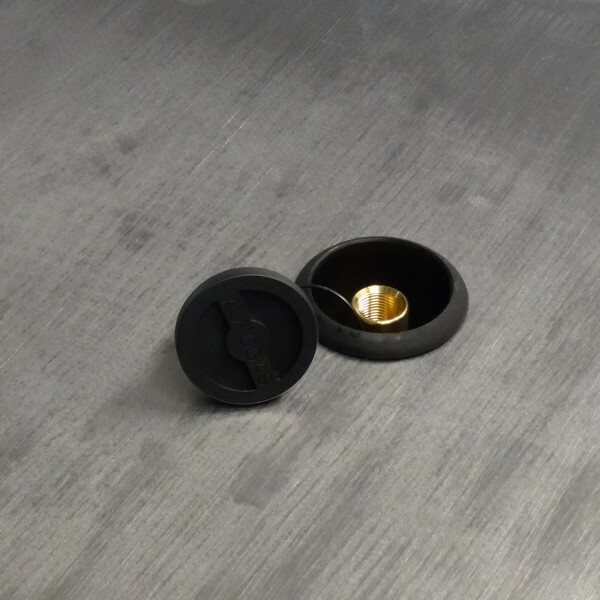 For body panels no thicker then 3mm, autogas filler box with either straight or angled filler can be used as can detachable stealthy filler straight and detachable stealthy filler angled. For body panels thicker than 3mm the autogas filler box can be tricky due to its construction, the use of angled filler would make installation hard if not impossible. On thick glass fibre panels we recommend use of detachable stealthy filler straight. 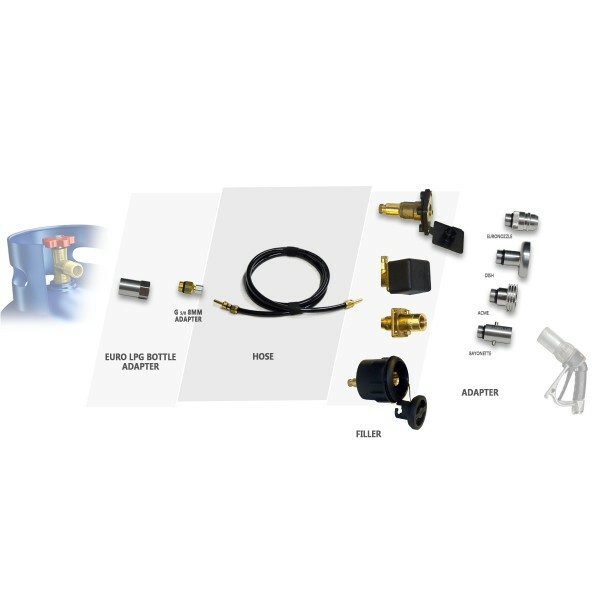 Filler most suitable will be the detachable stealthy filler straight with selection of Autogas Adapters added, adapters suitable are with W21.8 male fitting. 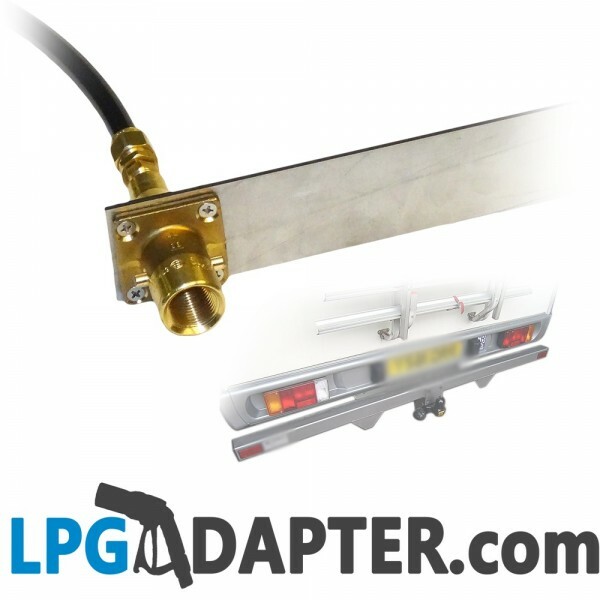 Key points to observe when locating suitable spot for Autogas Propane filler. 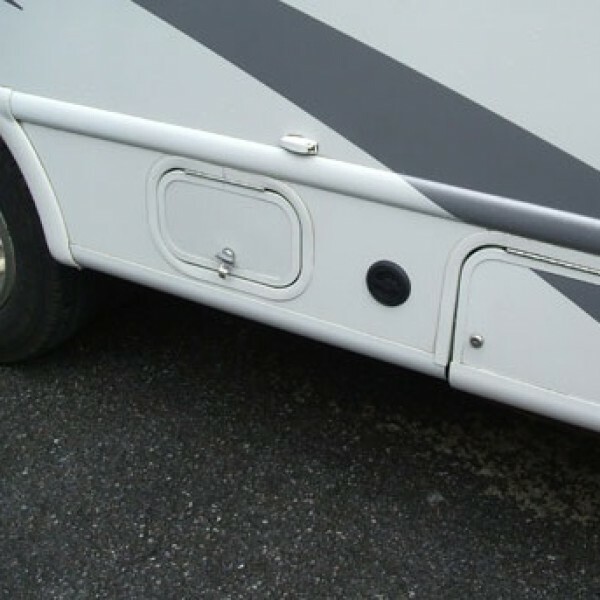 Autogas fill point should never be mounted lower then any body part of the vehicle, in place where its likely to get damaged, less than 40cm off the ground and close to exhaust outlet. Autogas LPG Propane gas is heavier than Air so in unusual circumstance if the leak does occur gas will gather in lower areas, if filler is mounted in a cabin suitable vent hose should be fitted if mounted in storage area vent gromits are available and should be used. Propane as fuel is not dangerous ignorance towards its characteristics, is! Always close any Propane valves that are not used. Our equipment is HIGHT QUALITY and 67R01 approved. Control valve according to standard E37 67R.01 0049. 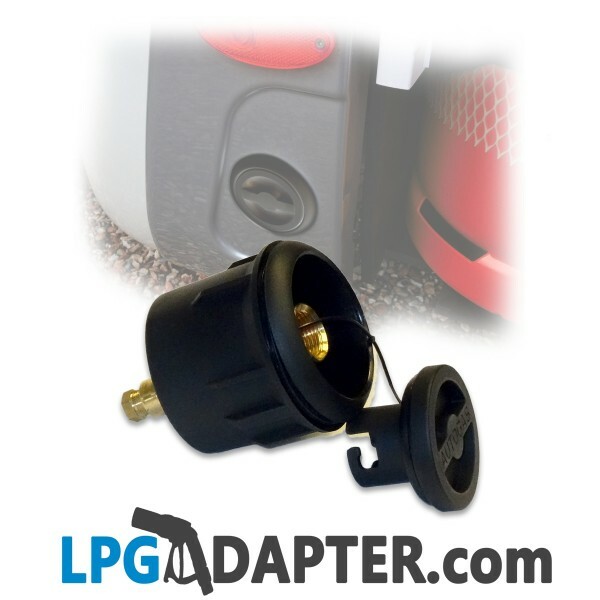 Screw the LPG adapter into gas bottle valve. 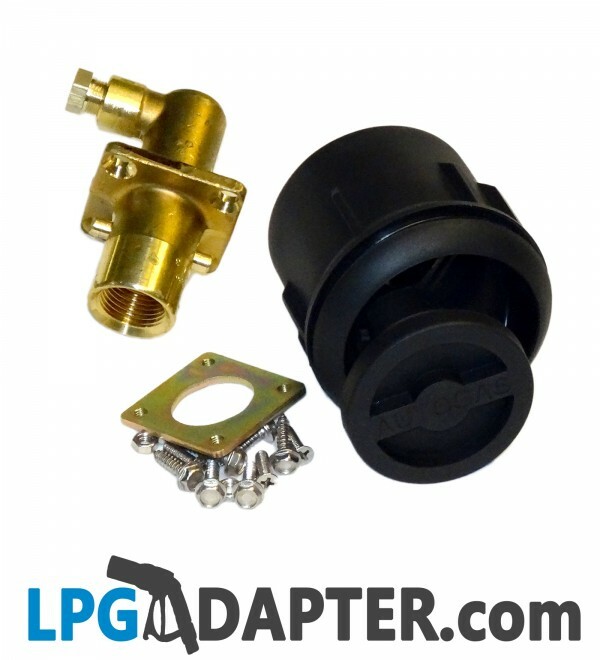 Fasten lpg pump nozzle to the adapter and open valve on lpg gas bottle. When finished close valve on lpg gas bottle. only ever fill bottles to 80% !!!!! only ever fill empty bottles !!! 13kg bottle = 26 litres of lpg. 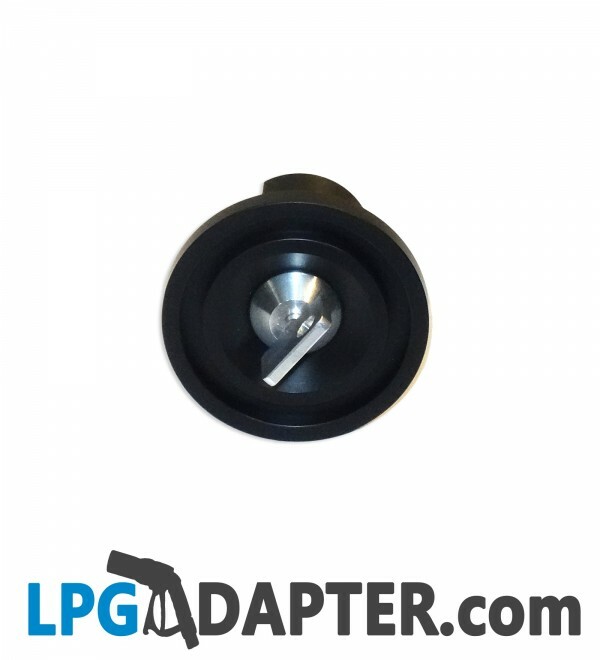 Our KIT for motorhome to refill lpg gas bottle remotely is used for filling up orange or grey lpg bottles that are fitted with POL left hand REVERSE thread. The Propane bottles are used for cooking and heating at home, in campers or outside in the likes of barbecues or garden heaters. This item comes complete with in-build safety one way valve. Would it fit my bottle? 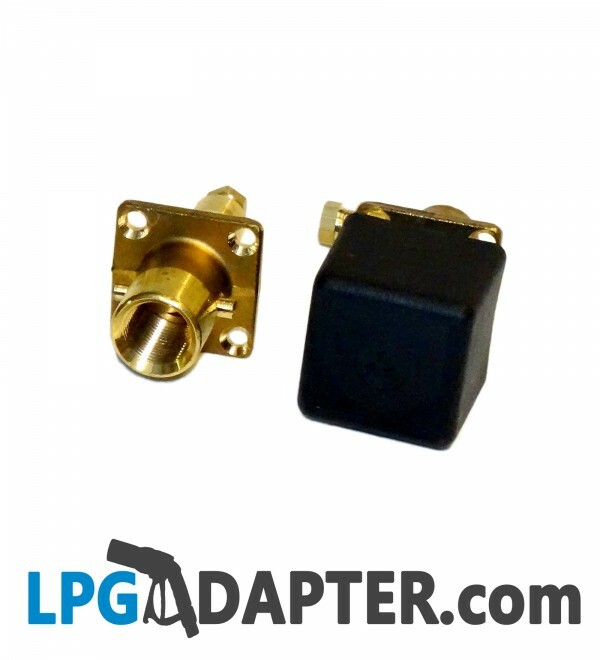 - If your bottle has Euro reverse thread then this adapter will be suitable. Does it stop when full? How much do I fill the bottle? - Starting from empty, ALWAYS, assume LPG is 0.5 kg / Litre, never exceed 80% capacity. For example 13.4kg bottle holds 26.8 Litres of LPG less safety volume of 20%. So the 13.4kg bottle should hold no more than 21.44 Litres of LPG from EMPTY. Manufacturer or seller do not accept any responsibility and / or liability for any injury, loss or damage caused by incorrect use and / or operation of this product.